Craigmore Creations will be losing it's distribution through IPG as of 12/31/2017. This will affect all book buying channels. If you are a bookstore, library, or gift shop that has been ordering Craigmore Creations books from IPG, the time is limited to re-order your books. After the contract close date, the future is uncertain. All I know is that we will not have the stock left to find a new distributor and I lack the desire to reprint and distribute the books on my own. Being a publisher has been a great learning experience but I would like to focus on creating only and finding a publisher to carry my works. 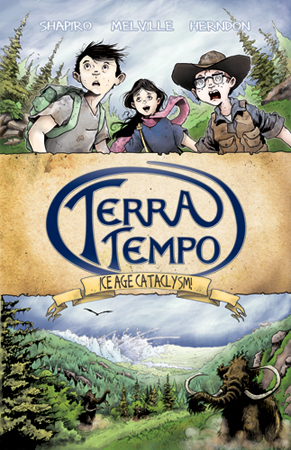 I will be seeking a new publisher for the Terra Tempo series. I will be working with the other authors/illustrators about how to go forward with their own works. This change saddens me, but I hope that new windows are open because of this. I will be available for school presentations, as always. I have some great school appearances lined up for September and October. The website will remain up and running. I will be available for school/group/bookstore presentations throughout the 2017/18 school year. 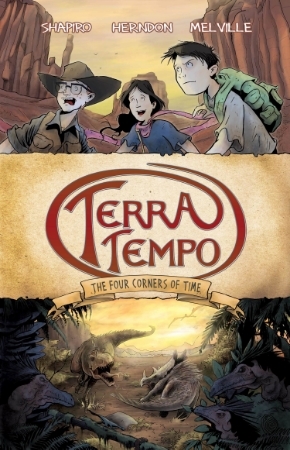 With a little luck and skill the Terra Tempo series will be carried by a major New York house with the budget and clout to get the books into classrooms across the country. That is my goal from here on out. I thank all the bookstores, gift shops, libraries, and other channels that have been buying and selling the Craigmore Creation books over the years. Your support has been wonderful! I feel that we have much to celebrate as an independent publisher. All the usual lines of communication will be open so feel free to email or call with any questions.